If this is truly your research then please put it under the SO domain. Otherwise it looks like a phishing attack and may cause the originating email to be flagged as spam. Thanks for the report, empty. This e-mail is from us and we are in control of the URL you posted. You're right, we should've taken a bit more care here. Unfortunately the deed's done on this cohort of participants. We'll do better on the next group in two weeks. 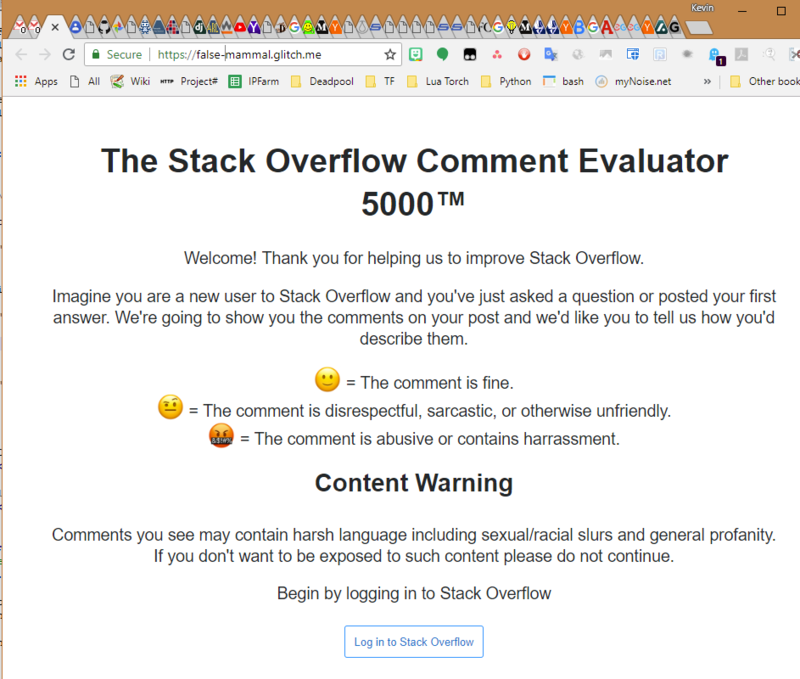 Sad Update (2018-09-25): Unfortunately we weren't able to move this from glitch to Stack Overflow infrastructure. Stack Overflow's infra is very heavy for short-term data labeling/collection tasks like these which is why we built this on glitch in the first place. When we tallied up the costs of retrofitting/moving it and the possibility of screwing something up that tainted the data (invalidating some of the work y'all have done) we chose not to. The final cohort of users is being invited today and then next week this code will be retired. Not the answer you're looking for? 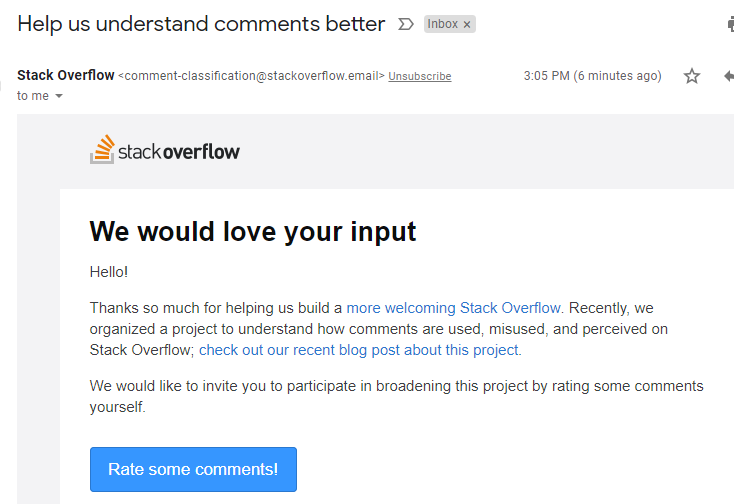 Browse other questions tagged feature-request status-declined email welcoming stackoverflow-comment-evaluator . Can we view the internal SE support tickets, and if not can the link please be removed?